Otech has an extensive track record of delivering turnkey project management to our clients. Through innovative engineering solutions, experienced employees with technical backgrounds in design, project engineering we can deliver solutions to complex operations with high intensity and efficiency. Otech has a history of delivering turnkey project management to our clients. Through innovative engineering solutions, experienced employees with technical backgrounds in design and project engineering, we can deliver solutions to complex operations with high intensity and efficiency. Our teams have proven their capabilities by delivering complete solutions to high complexity operations ranging from ICCP retrofits, offshore class renewal surveys, hull repairs and more within time and budget, ensuring minimum downtime for clients. Our corporate procedures and established methodology provide a framework for safe completion of projects, in accordance with client expectations and budget. We have always believed that nothing is impossible – it simply requires better planning. Cooperation with our clients at an early stage handling design, sim-ops and other project development considerations reduce risk of the project and thus reducing cost for the client. Our experience in handling individual high intensity projects and multi-million contracts with numerous subcontractors allows our project management team to tap in to established corporate procedures and ensure seamless integration of associated parties. As one of the world`s first contractors to offer a complete continuous class service programme, approved by DNVGL, for underwater hull and pontoons, Otech has secured a leading role in introducing continuous class for MOU`s. With an ever more competitive global market ensuring assets are operative and producing is more vital than ever. Otech has extensive experience in planning and executing class renewal surveys and maintenance and offers turnkey solutions for our customers. Our unique continuous class concept allows for rig owners and operators to utilize accumulated maintenance time within their contracts to perform planned hull and structural surveys without ever being off-hire. Through early stage interaction with our clients, Otech plan and execute operations ensuring minimum effect on client’s operations. Our quality of documentation and the integration with class society guarantees safe, high quality on time delivery. Otech has through an extensive track record proven its capabilities in handling inspections and hook-up preparations for FPSO & FSOs. Efficiency is the key to successful operations and by thorough detail planning backed up by a framework of corporate procedures, we can meet client needs. Our customized equipment and team of skilled professionals have through the history of our company produced innovative, effective solutions and record-breaking deliveries. During the years Otech has performed work on a comprehensive number of FPSO & FSOs inshore and offshore. In addition to inspections and NDT, the services have among others included removal of turnbuckles, blind-flanges, replacement of bend stiffeners, installation of I-tubes extensions and replacement of BDSCs. Otech have extensive experience in performing structural inspections on steel jacket platforms, floating platforms, FSO and FPSOs. Otech can provide project management and development of inspection programmes as well as performing the inspection. Our teams are carefully selected based on a study of the structure, competence and certifications required. Skilled personnel trained and certified with relevant CSWIP level for this type of work is deployed to evaluate the condition of the structure and check for defects, damages, leaks or cracks. Equipment specifically selected for harsh operating environment ensures reliable crack detection, capable of inspecting corroded surfaces with reduced cleaning requirements and with access to a wide range of geometries through special subsea probes. This methodology ensures high quality structural inspections on all subsea structures, risers, fairleads, offloading systems, umbilicals and more. With a proven track record Otech can provide quay inspections, general mapping and survey of seabed for clients. 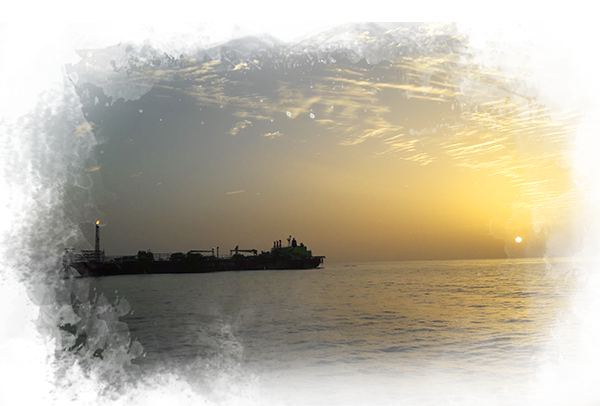 The purpose of such operations is to ensure proper planning for pipeline installations, mooring or safe route planning for MOU`s or other large vessels. Potential hazards could include wrecks, structures, debris or other current infrastructure. Our Quay inspections are carried out using specially selected personnel to achieve data needed to evaluate structural conditions and specify whether the structure meets design requirements and future performance. Concrete structures are inspected according to developed corporate procedures in order to specify and describe rate and extent of any damage and deterioration, as well as the phenomenon that caused deterioration. Our inspections are used to examine the performance characteristics of the structure under future service conditions as well as determining conformance with contract documents and verifying as-built conditions. Otech can provide project management and development of inspection programmes as well as performing the condition survey, give recommendations for appropriate techniques of repair and maintenance in addition to develop information required to produce cost estimates of the repair and maintenance. In our portfolio of services specialized work includes mooring systems inspection for semi-submersible oil rigs, floating production units, vessel and offshore installations. Submerged parts of mooring systems may often provide challenging environment for repairs or inspections to be performed safely. 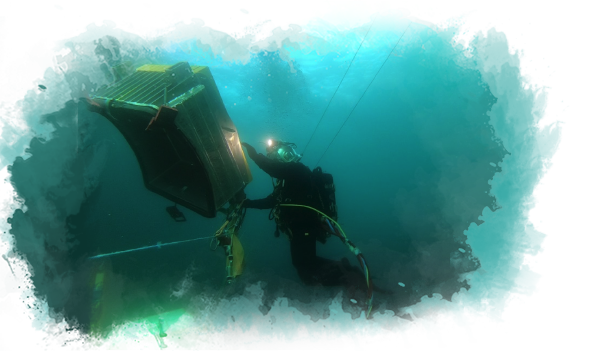 Otech`s solid capabilities include highly experienced and motivated teams of divers and inspectors working according to DNV, ABS and Lloyds standards. 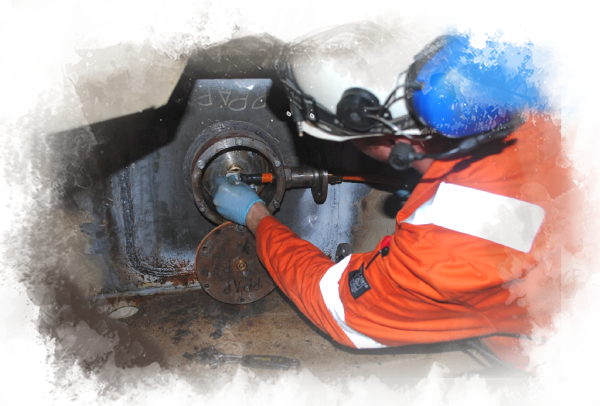 Through years of experience and safe operations our framework of procedures for such works allow us to provide dimension control, visual inspections, NDT inspections as well as any required project management and turn key-solutions for repair. Otech is one of few specialists worldwide in retrofits of cathodic protection systems. A fully functional cathodic protection system is vital for protecting the submerged structure of any installation. 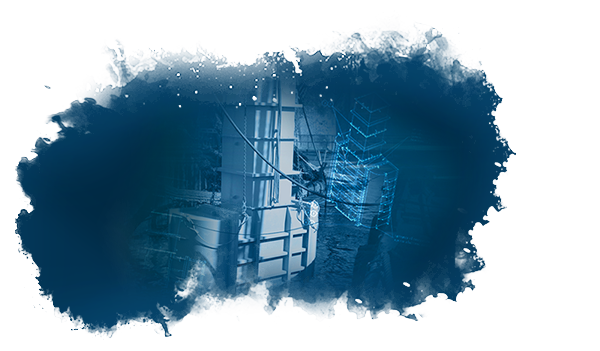 Our ambitions to reduce client`s overall maintenance costs have led us to develop specialized turn-key solutions for retrofits of submerged structures and lifetime extension upgrades converting sacrificial anode protection for ICCP systems. 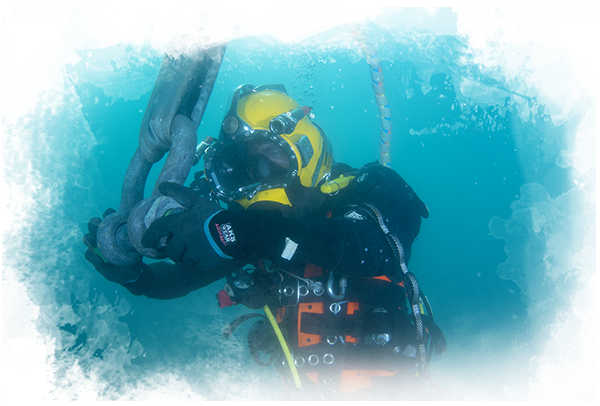 An Impressed Current Cathodic Protection system versus Sacrificial Cathodic Protection system provides a maintenance free diver or ROV friendly solution for up to 20 years, reducing maintenance costs for the owner by not having to replace submerged sacrificial anodes during any periodic surveys. Otech can provide project management, design studies and inspections of any traditional sacrificial system or outdated ICCP system, proposing customers solutions designed for the future, which is guaranteed to make an impact on maintenance cost. Clients reliable long-term management of assets depend on the ability to obtain high quality inspections, thorough recommendations for planned maintenance and develop accurate maintenance cycles. Otech can provide everything from identification to final repairs of shallow water 0-50 metres subsea or marine systems utilizing our specially designed diving spreads and Light Living Crafts (LDC) engineering and project management capabilities. Our proven track record includes Anode replacement (CP), Pipeline and cable protection and supports, mattress laying, module or fixed equipment replacements and removal of foreign objects. Otech provides shallow water (0-50 meters of seawater) inspections and repairs to locations and structures challenging to reach by conventional methods. Our unique developed procedures, specialized diving spreads and experience allow for safe operations in harsh environments where WROV cannot access, such as Jackets, Turrets or Concrete structures in order to survey j-tubes, risers, brackets or foundations. Our long history of collaboration with EPCI contractors allows for seamless integration of our team as part of larger field IMR contracts and scope. Maintaining assets and ensuring their maximum performance is vital for your returns to all stakeholders. Otech facilitate everything from identification to final repairs. Our leading position in the market for shallow water IMR services combined with our specially designed diving spreads and Light Diving Crafts (LDC) allows for a unique way of planning, engineering and executing operations. Our experienced offshore crew and skilled engineers are familiar with IMR operations and always search the most effective solution for the customers’ requirements and needs. One of Otech`s main activities is thruster replacement services. Our specialized teams consist of employees with technical background from the largest manufacturers such as Rolls Royce (KaMeWa, Aquamaster, Ulstein), Wartsila (Lips) and Schottel. Our capabilities include provision of project management, engineering and turn-key delivery of Azimuth thruster replacement and installation operations both offshore and inshore. Our unique Thruster Replacement Warranty ensures customers the safety, quality and predictability needed to reduce their operational risk and increase returns for all stakeholders. 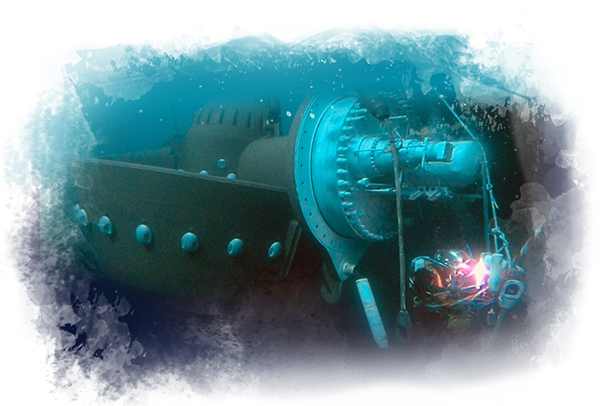 Through our extensive track record of several hundred replacement projects worldwide, customers can be sure that the whole operation, from internal mechanical work to diving operations, is performed with excellence. Otech can also provide studies, engineering and re-design of handling systems and procedures as well as conversion projects allowing clients to replace thrusters on-location or offshore. Otech is one of few specialists worldwide in retrofits of cathodic protection systems. A fully functional cathodic protection system is vital for protecting the submerged structure of any installation. Our ambitions to reduce client's overall maintenance costs has led us to develop specialized turn-key solutions for retrofits of submerged structures and lifetime extension upgrades converting sacrificial anode protection for ICCP systems. Turret and buoy mooring systems either integrated into an FPSO, FSO or SPM and permanently fixed to the seabed can present challenging environments for repairs and modifications. Being at the center of production and often with variables such as offloading operations, maintaining such assets, require unique planning. Otech provides services relating to engineering, preparations, repair and maintenance where conventional methods or water depth for WROW access is limited or hook-up testing and systems verification. Our strong competence from projects involving risers, chain connectors, bearing systems, fluid transfer systems allow for detailed planning and minimal operational impact when maintenance or repairs is required. Through high level operational procedures and innovation, we are able to deliver safe and effective services with no environmental impact. 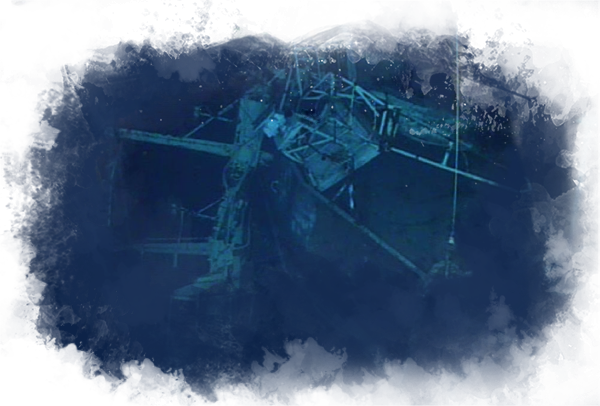 Otech provides emergency response, salvage and wreck removal services. The company has a track record of responding to emergency situations in our operational regions, and we care deeply about the environment where we operate. Our experience with salvage and wreck removal projects in navigation routes and port entry, ensures a salvage team capable of delivering a full range of environmental care services. This includes locating wrecks, removal and safe disposal of hazardous cargos and bunker fuels along with planning and execution of wreck removals up to 500 tonnes. Cofferdams and habitats are sometimes used to perform works situated under the waterline where repairs require dry conditions. Such solutions form a good alternative to dry-docking when maintenance and urgent repairs are required. Otech has extensive track record of developing innovative solutions and water integrity barriers as well as major repairs such as hull damages, impact damages, crack repairs for semi-submersible oil rigs, floating production units, jack-ups and offshore installations. Our technical personnel are experienced in engineering and design with focus on rapid, easy installation and easy transport. Otech can provide project management, operational planning, engineering, mobilization/demobilization and vessels, and has the overall responsibility to see the repair operations through from first inspection to completion.